Seri Maya Condominium comprises high and low-rise apartments set in a 16-acre of freehold land in Kuala Lumpur. Seri Maya, a modern tropical lifestyle homes with a tranquil setting of lavished landscaping, expansive lawns, colourful boulevards and meandering tree-lined walkways. 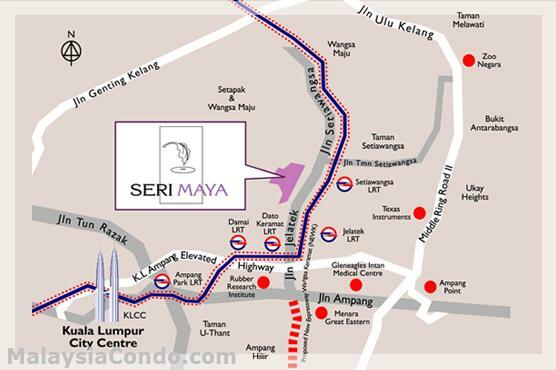 Seri Maya is strategically located on Jalan Jelatek in the Ampang vicinity. It is just 5km from the KLCC commercial hotspot and boasts close proximity of two LRT stations - Setiawangsa and Jelatek.